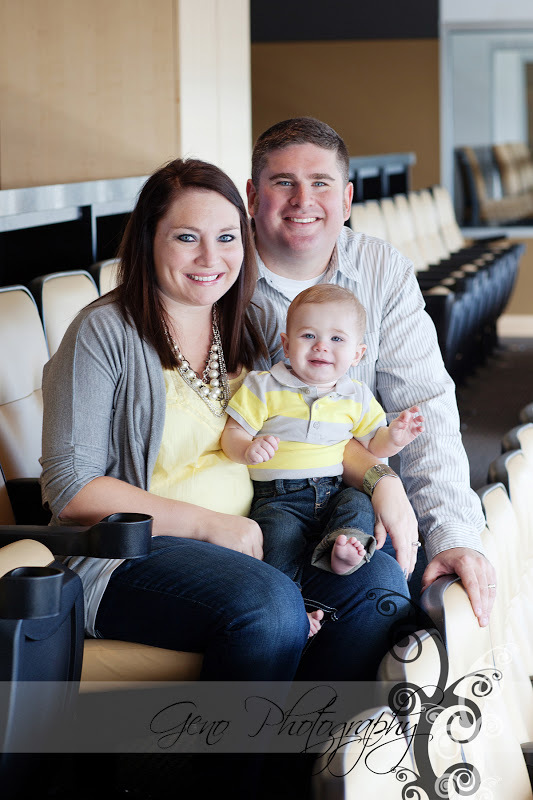 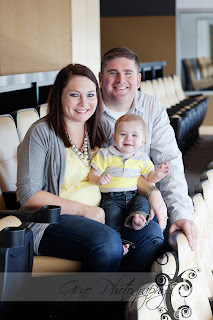 Earlier this month, I met with Grady and his parents at the Press Box at Kinnick. 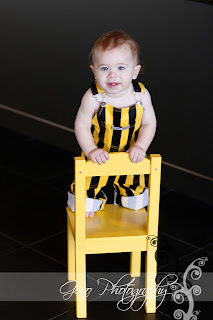 He is truly a Hawkfan in the making. 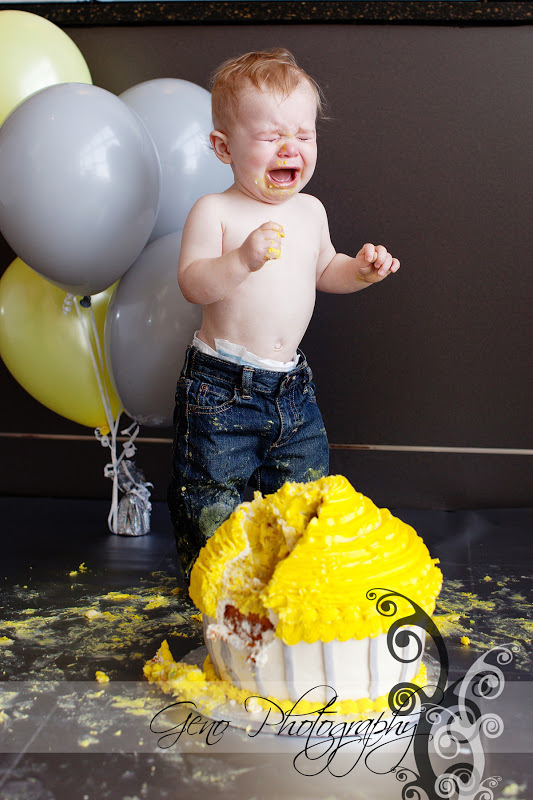 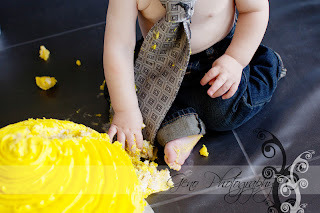 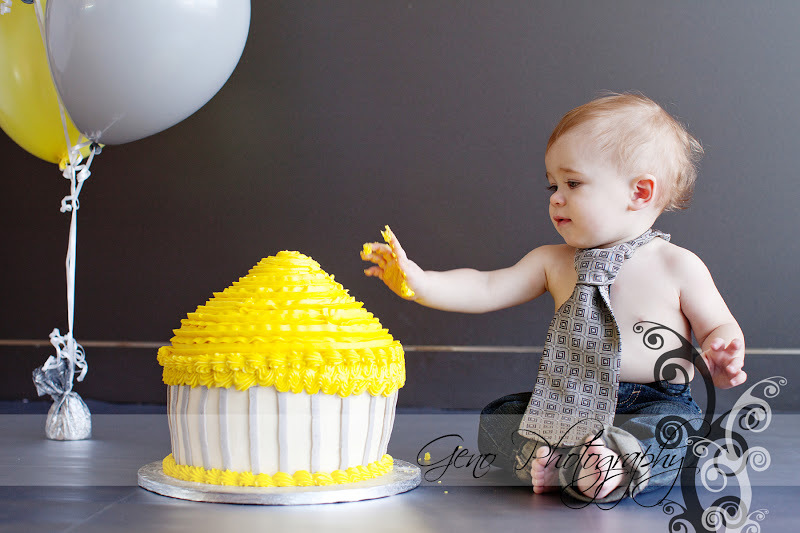 Every aspect of his first birthday session was set to tones of gold and black. 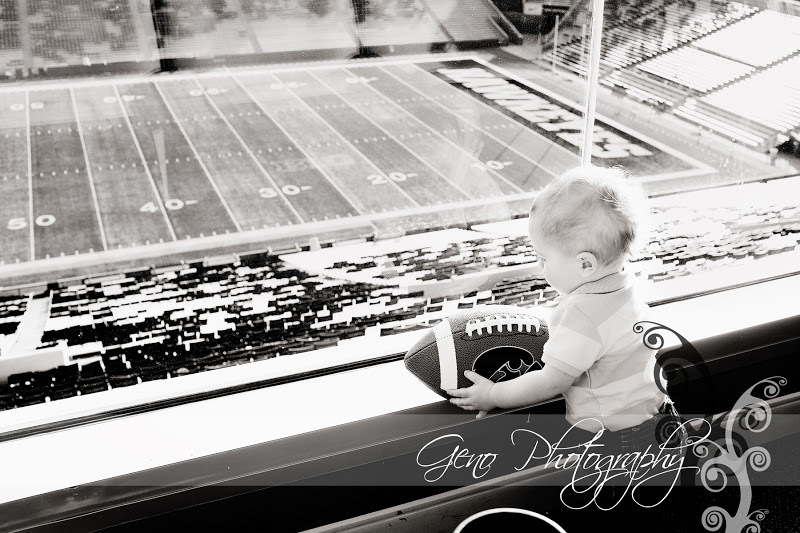 He even brought along the football I photographed him laying across when he was just mere days old. 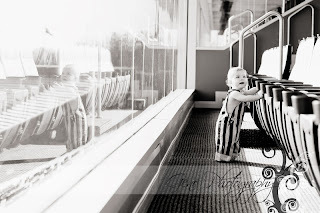 My how he's grown since then! 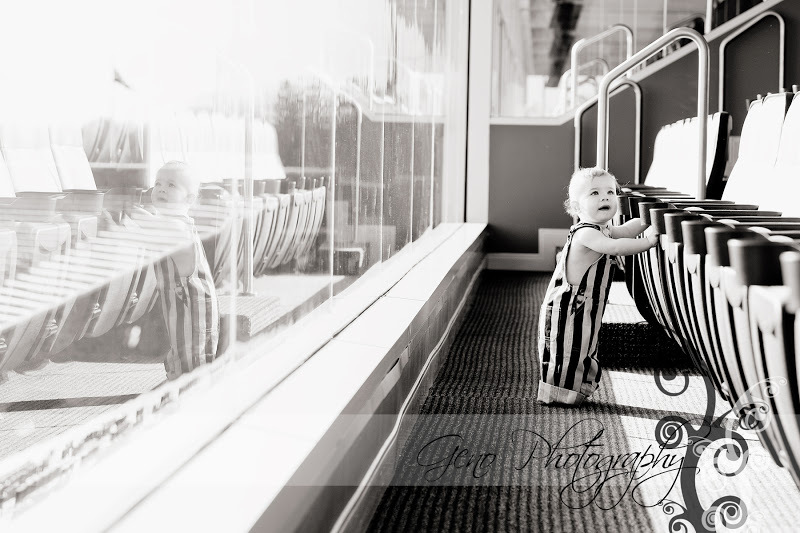 He went from being a tiny little six pound peanut to a very busy one year old running around the press box in what seems like no time. 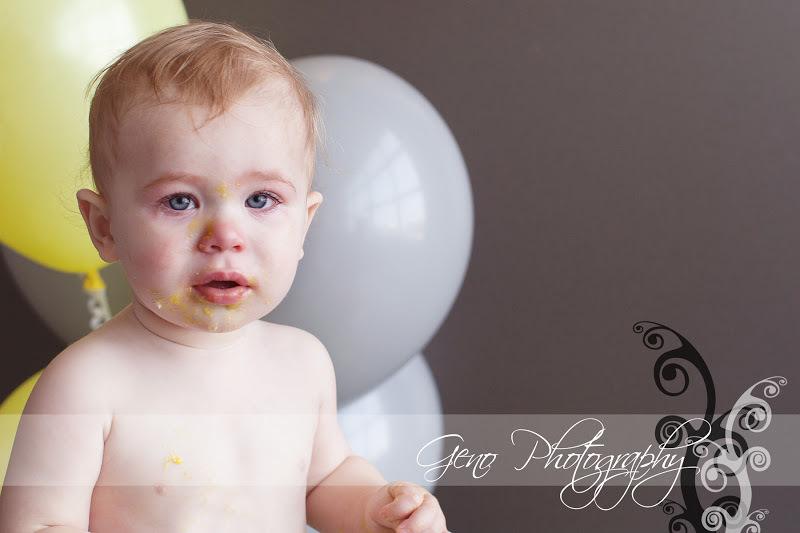 Grady was not too interested in smiling for the camera, or in the camera at all in fact. He was so busy exploring all the cool things in the press box and checking out the field from the window. We got some great shots of him though. 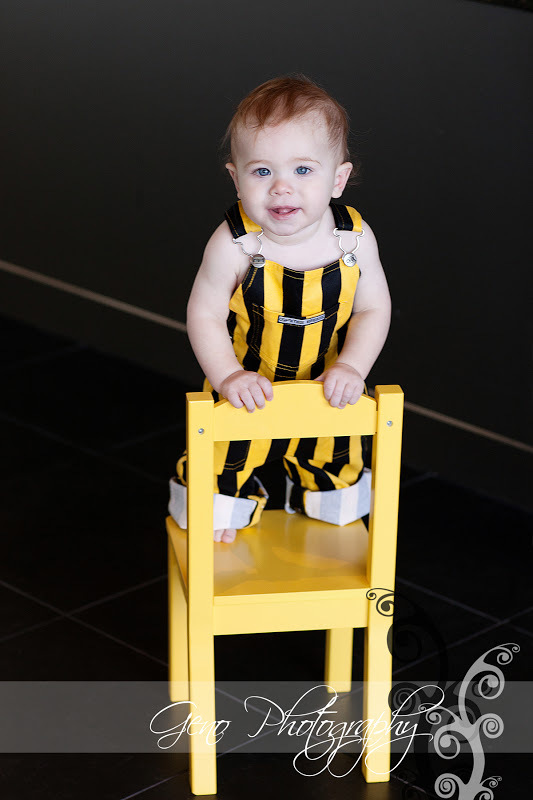 I love his black and gold striped overalls, a true Hawkeyes fan. 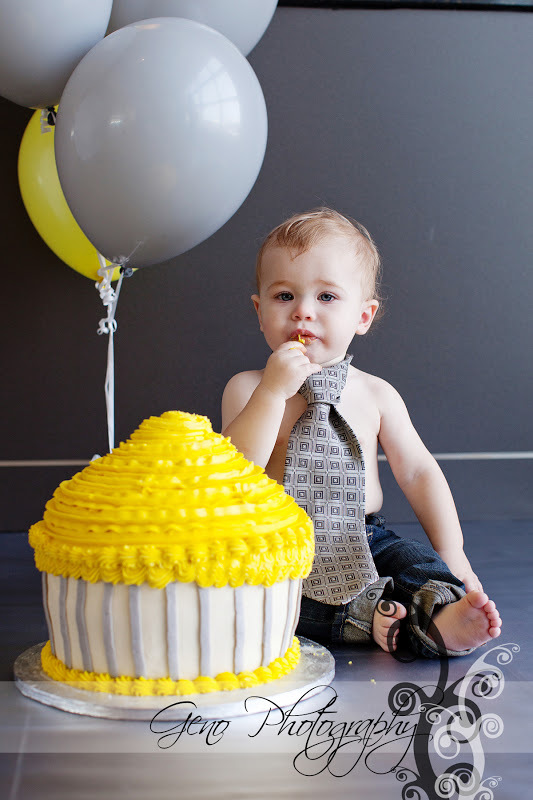 Grady's parents brought along a giant cupcake made by Adam at Tip Top Cakes. It looked (and smelled amazing). 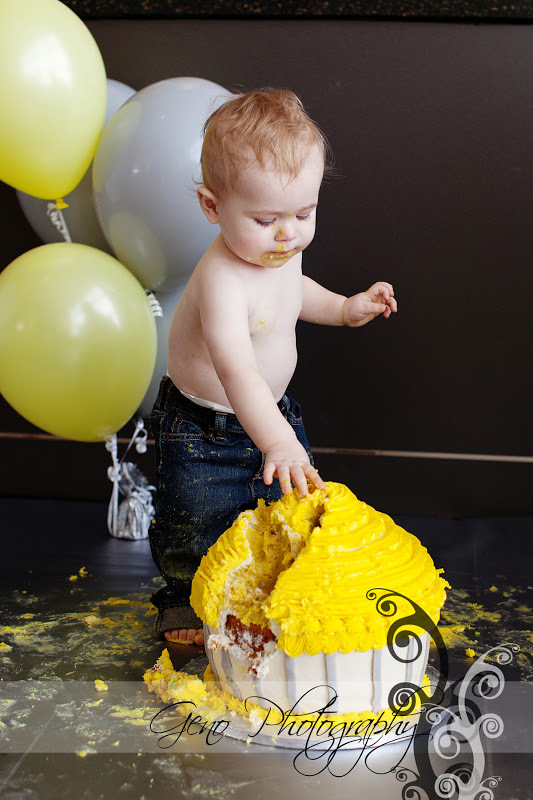 Grady wasn't too sure about tearing into it, but definitely had fun snacking on some of the frosting. 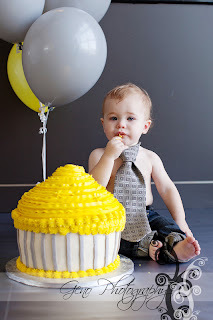 Happy first birthday, Grady! 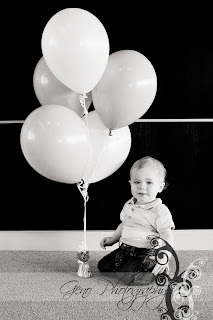 I'm looking forward to seeing your cute little face in front of my camera in the future.